Discussion in 'Guitars For Sale / Trade / Wanted' started by Qweklain, May 7, 2017. - The horizontal line for the inlay at fret 3 is not perfectly straight. - The cut-out for the blade switch is not perfect. - This will not intonate lower than 3/4 of a step. 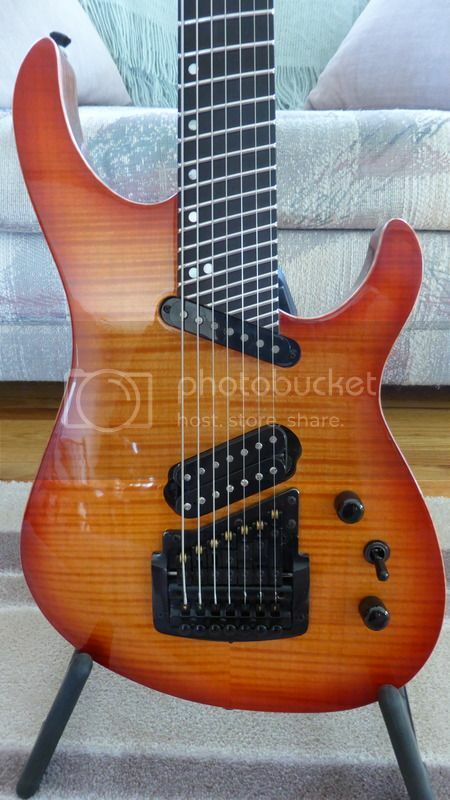 D-style neck. 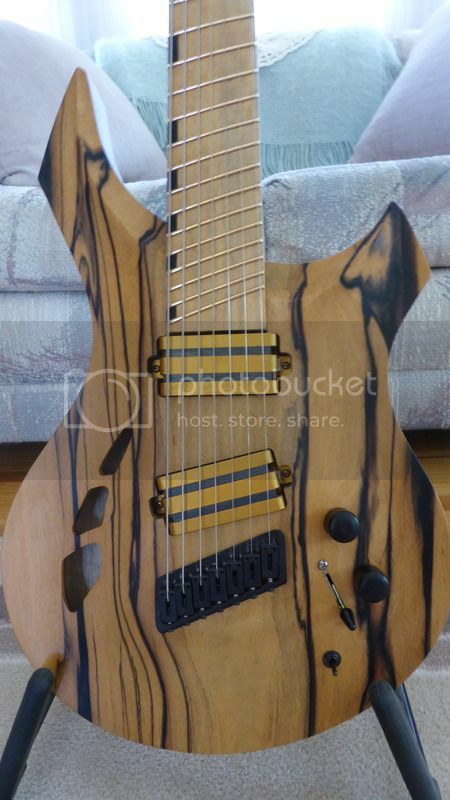 Think Ibanez, but a little bit thicker. - If you use trems like Kerry King, you will go out of tune with this. - Feel free to throw whatever at me, but I am very picky.